The General Assembly of the Presbyterian Church has passed a resolution reaffirming its support of evolutionary theory. 1. Reaffirms that God is Creator, in accordance with the witness of Scripture and the Reformed Confessions. 3. Encourages State Boards of Education across the nation to establish standards for science education in Public Schools based on the most reliable content of scientific knowledge as determined by the scientific community. The resolution is obviously aimed at both young-Earth creationism and “intelligent design” (a view—held mostly by “old-Earthers’—that we need to posit a Designer in order to explain some of the complex intricacies of the living world). The resolution was prompted by nationwide debate over whether the state of Ohio should include intelligent design in its science standards3 (see Teach “Intelligent Design” for the latest developments in Ohio’s debate). The Presbyterian Church (USA) is the largest Presbyterian denomination in the US, with around 2.5 million members. Typical of other “mainline” churches, most of the leaders in the PCUSA deny the inspiration of the Bible and other cardinal doctrines of the Christian faith, and they support radical social causes, such as abortion and homosexual rights. This recent resolution on teaching evolution does not come as a surprise—it is just more evidence of the continuing slide of major denominations that have capitulated to Darwinist/humanistic thinking. PCUSA has long taken a stand in support of evolution. 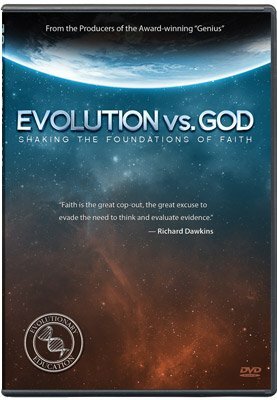 Its Web site features a statement on evolution, approved by the General Assembly in 1969, which concludes that “neither Scripture, our Confession of Faith, nor our Catechisms, teach the Creation of man by the direct and immediate acts of God so as to exclude the possibility of evolution as a scientific theory” <http://www.pcusa.org/pcusa/cmd/cfl/evolutionstatement.htm>. According to a PCUSA press release, “The measure [was] prompted by an effort in Ohio to have the state Board of Education ban the teaching of evolution in public schools” <http://www.pcusa.org/ga214/news/ga02108.htm>. What an outrageous claim! The Board of Education has never considered any such thing. Teachers in Ohio will continue to teach evolution, but the Board is merely considering whether to encourage teachers to discuss the weaknesses of evolutionary theory.